An Australian labor union says it has fired two officials after investigating their links to a fake Black Lives Matter page on Facebook that attracted hundreds of thousands of followers, and took in money from donors. The National Union of Workers said in a statement Wednesday that it was "deeply distressed and appalled" by the revelations in a CNN report this week that linked one of the officials -- Ian Mackay -- to the fake Facebook (FB) page and other online black rights sites. "The NUW has launched an investigation into claims made by a CNN report and has terminated the officials concerned," it added. A spokesperson for the union told CNN that it had "terminated" the job of Mackay -- a middle-aged white man -- and fired a second official, Ben Parker. Both held the title of "organizer" at the union, the spokesperson added. The union, which represents thousands of workers in various industries, "is not involved in and has not authorized any activities with reference to claims made in CNN's story," National Secretary Tim Kennedy said in the statement. CNN wasn't immediately able to reach Mackay or Parker for comment on Wednesday. 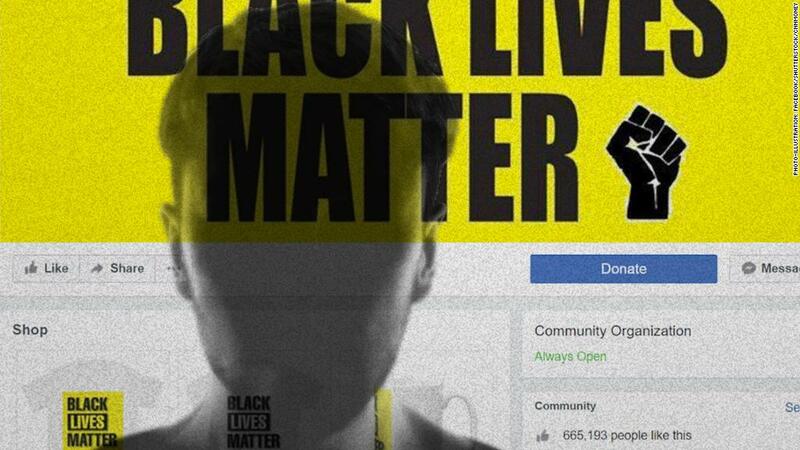 The Facebook page, titled simply "Black Lives Matter," had almost 700,000 followers, more than twice as many as the official Black Lives Matter page. 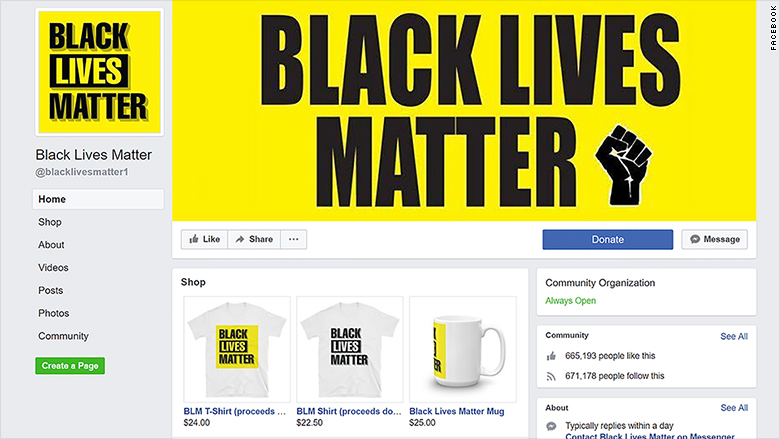 The scam page was tied to online fundraisers that brought in at least $100,000 that supposedly went to Black Lives Matter causes in the United States. At least some of the funds, however, were transferred to Australian bank accounts. Mackay denied running the Black Lives Matter page when CNN asked about his involvement last month. An anonymous Facebook profile under the name "BP Parker" was an administrator of that page until it was suspended, according to Facebook. Ben Parker -- the other now fired official -- declined to answer questions last week about CNN's investigation. Facebook suspended the fake Black Lives Matter page, but only after almost a week of exchanging emails and calls with CNN about the matter. Almost 700,000 users followed the page, which was not disabled by Facebook until several days after CNN brought it to the company's attention. CNN reported on Monday that the Black Lives Matter page consistently linked to websites tied to Mackay, who has registered dozens of domains, many on issues tied to black rights. In April 2015, he registered a site called blackpowerfist.com. Mackay's name, email address, phone number and other details appeared in the registration records for the site until July 2015, when the website enabled a feature that allows site owners to hide their identities and contact information. The Black Lives Matter Facebook page continually drove traffic to websites associated with blackpowerfist.com, which was eventually turned into a discussion forum. A few days after Mackay registered blackpowerfist.com, "BP Parker" shared a link to the website. The people behind the websites and the Facebook page encouraged people to donate through various online fundraising platforms. A source familiar with some of the payments processed said at least one of the accounts was tied to an Australian IP address and bank account. At least one fundraising account was tied to Ian Mackay by name, according to the source. Another source also familiar with some of the payments processed told CNN that the group had raised around $100,000 that they were aware of. The Black Lives Matter Global Network responded Tuesday to CNN's reporting. It said it was relieved that the fraudulent profiles had finally been taken down after repeated requests, and expressed hope that social media platforms would adopt protocols soon to prevent a repeat. "We regret that so many people were deceived by the recent high profile scam into believing that their gifts and donations benefited us," it said in a statement. Mackay did not provide answers to multiple questions from CNN about his apparent links to the scheme, saying that "domain name buying and selling is a personal hobby." "I once bought the domain name only and sold it," he told CNN when asked about a Black Lives Matter website that was once registered to his name. Mackay declined multiple opportunities to clarify his role. -- Carly Walsh contributed reporting.